Breakfast, Lunch, Breaks and Receptions are your chance to grow your network. Make your job easier by developing relationships with others who may have already solved your biggest challenge! 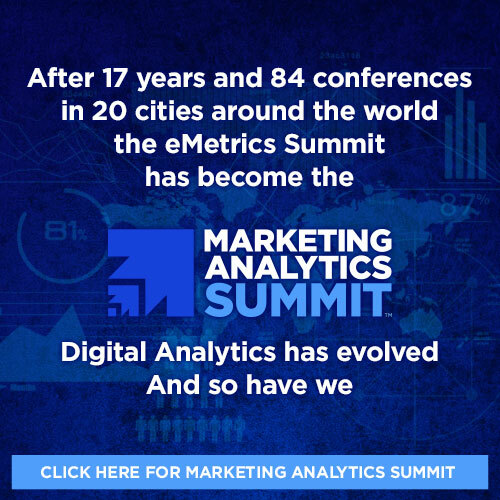 Nobody Knows the Trouble I’ve Seen – eMetrics Summit is the perfect place to discuss and share common problems. These are your people – they understand your situation. Share your problems with like-minded professionals is your path to answers, and a little empathy. Birds of a Feather Session – We’ll offer up some topic suggestions and label the tables – you get to decide what you want to discuss with your peers. These are your colleagues – here’s your chance to pick their brains. It’s time to get serious about growing your network. You’ll have one minute to give your elevator pitch and one minute to get to know your neighbor. Then it’s time to switch and meet the next one. The very best way to meet the most people in the least time to find those you want to connect with further. If you value your career, bring a stack of business cards and get ready to introduce yourself.